The latest leaks, concerning the next generation iPhone show what appears to be the new motherboard and the new smaller dock connector. 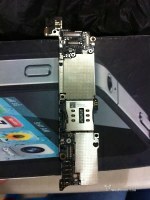 The motherboard is different from the one used in the iPhone 4S. It features a smaller SIM tray and it appears to have more connection points, which gives more credibility to those LTE rumors. 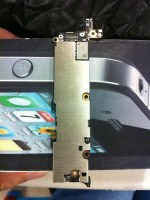 The motherboard also appears to be smaller than the one on the iPhone 4S. The motherboard is said to be a prototype because it lacks the usual labels found on final products, but that's to be expected, given that the new iPhone isn't official just yet. The second leaked image reveals what the new smaller dock connector looks like. It features 16 pins (8 on each side) and it looks like it's slimmer than the standard microUSB ports. Currently iDevices use a 30-pin dock connector, but we've been hearing rumors of 19-pin or 9-pin units making it on the new iPhone. As usual, you should take this information with a pinch of salt as we've seen misleading rumors before even when we are as close to the next iDevice announcement as we are now. well sais ,can you buy motherboards comlete on this that genuinely work?